Try this ten-minute craft to make learning and recognizing numbers fun for your child. We purchased a large sheet of foam paper in a fun color. I took a washable Crayola marker and outlined numbers 0-9 on the foam paper, then cut out each number. The markers are washable so my outlines wiped right off with a baby wipe. My daughter now has all the basic numbers to play with and stick to the walls during bath time, which is a great way to make working with numbers a fun task. We make it a game, and she sticks the foam numbers to the wall in the correct order and facing the correct way. 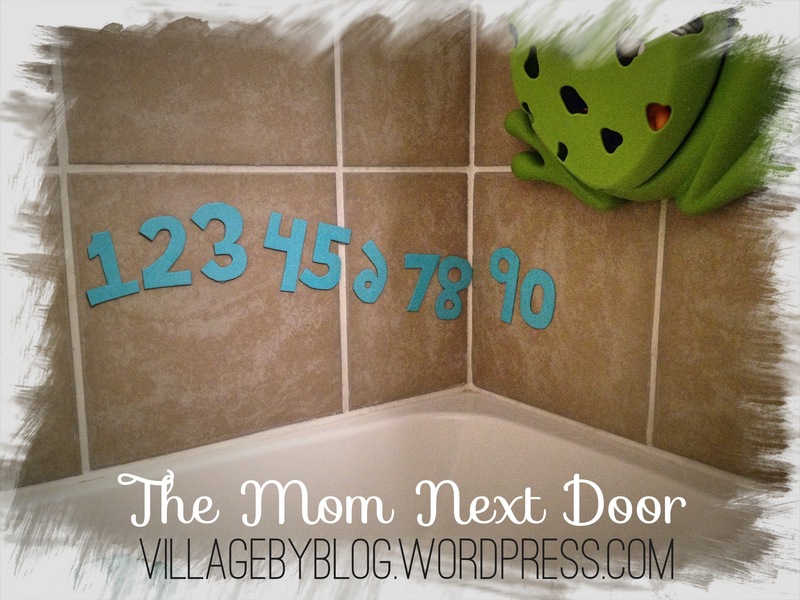 In just a few baths, she’s quickly learned to recognize and organize her numbers. This gave a great foundation and helped her to easily catch on to writing numbers, too. Looks like one of the numbers is backwards, do you see which one it is? Love this! My grandsons plaster the bathroom with these. Thank you! Sometimes it’s the simple toys that get used the most.